First 5 Yolo has begun to take bigger steps towards improving the systems that serve the county’s youngest children and their families. These steps included investing in systems change activities and dedicating staff time to participate in and support systems change efforts. While continuing to invest in direct services, the First 5 Yolo Commission and staff are committed to maximizing the effectiveness of organizations, funders, and other key stakeholders working in the community. First 5 Yolo addresses this overall systems change by working together with public and private partners to better coordinate and align programs and services. The systems change impact area serves as an overarching frame for our work. It supports and strengthens First 5’s efforts in our other three impact areas, child development, family support, and child health. During FY 2015-16, First 5 Yolo began planning for Champions for Children, an advisory group comprised of private and public funders, to collaborate on behalf of young children and families. First 5 Yolo will convene this group in order to identify shared interests, increase coordination, and respond to changing revenue streams. Champions for Children will address the need for cooperation in building and strengthening systems of care that support children and their families through prevention and early intervention. As both a funder and a convener, First 5 Yolo will continue to play an important role in the county’s early childhood landscape. Sustained support for these systems change efforts, alongside direct services for First 5 Yolo’s participants, will offer the greatest opportunities for continued improvements in the health, development, and well-being of children in Yolo County. Coordinated Healthy Interventions for Lifelong Development. Over the decade that First 5 Yolo has funded the Foster Care Recruitment and Retention Program, there has been a true “systems change” for foster care in Yolo county. This program has created long-term improvements to care for children who are most in need. As of FY 2015-16, 55 percent of foster children were placed in foster homes inside Yolo County compared to 10 percent of children before the program started. Local placement saves the county an estimated $13,000 per foster child in travel and associated costs each year. Additionally, approximately half of children placed outside the county (or 21 percent of all foster children) were placed with relatives, which is a preferred placement under state and federal law. Empower Yolo, the Yolo County District Attorney’s Office, First 5 Yolo, and the Yolo County Administrator’s Office have joined forces on a new project to address the needs of victims of family violence, sexual assault and human trafficking as part of the mission of the newly formed Family Violence Coordination Pilot Program. 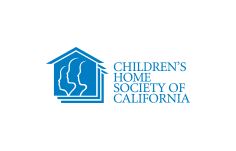 Other community partners include the Yolo County Health and Human Services Agency, Victim Services Program, Probation Department, Yolo Crisis Nursery, Office of Education and Child Support Services; Dignity Health; UC Davis Family Protection and Legal Assistance Clinic; and local law enforcement agencies. This partnership is creating an improved coordinated response to all survivors of family violence by co-locating and coordinating existing county services on-site at Empower Yolo — 175 Walnut St. in Woodland — so survivors can avoid traveling to, and navigating through, multiple systems when they have limited windows of time and multiple urgent needs. Foster Parents and Social workers need the knowledge and skills to best advocate for the young children in their care. 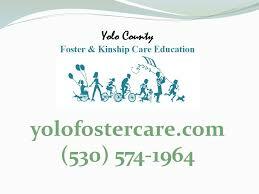 This multi-disciplinary training funded by First 5 Yolo will educate Yolo County foster parents and social workers with the science and the law to encourage consistent focus on the psychological and emotional needs of our infants and children at every stage of their legal proceedings. 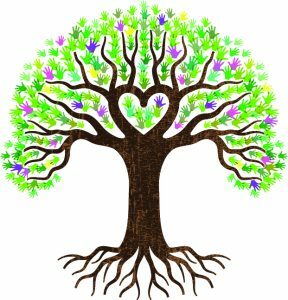 The Children’s Home Society convenes a one-day Yolo County Child Development Conference each spring. This conference educates over a 100 local child care specialist with the most relevant and up to date research and skills to ensure each child receives a good start in life. First 5 Yolo funds the professional speakers for this conference.